The 10 Best Furniture Stores in South Carolina! Your furniture says a lot about your home, and not just any old sofa or dresser will do. How you decorate your space is an expression of yourself, and every piece should make a good impression. These 10 best furniture stores in South Carolina are filled with high-quality, fashion-forward pieces you’ll be proud to show off in your home. Marty Rae’s showroom is chock full of interesting finds and high-quality furniture you just can’t get in big box stores. They offer pieces for every room of the house, but they also offer their personal expertise to help you find pieces that will fit your room, tastes, and budget. Their customers love coming here for the personalized service and non-pushy, laid-back buying experience—a winning combination other furniture stores would do well to duplicate. This five-location furniture store is the best on the Grand Strand for good reason: they have the best variety, quality, and prices in the area. The staff go out of their way to help you test pieces and patterns to get the best design for your home. They carry a variety of top brands like Bassett, Craftmaster, Paula Deen, and more so you can expect nothing but good-looking furniture that will last. This beloved furniture has been an Upstate tradition since 1947, and they’re not stopping yet. Alongside their furniture, you can find a selection of lighting, rugs, and mattresses to complete your home. Their showroom has only gotten bigger over the years, but their direct service still goes above and beyond just like it did when it first opened. ‘Rug’ might be first in their name, but you can truly find just about everything you need to outfit a room here. They have the biggest selection of indoor and outdoor rugs in the Upstate from top brands like Kaleen, Central Oriental, and Orian. Furniture, home decor, art, and mirrors means you can create an entire space in a single trip. This award-winning furniture store is also one of the state’s oldest—they’ve been in business for over 72 years and counting! They make it easy to get credit and purchase the furniture you need, even if you have bad or no credit because they finance your purchases themselves. Free layaway, up to six months interest-free payments, and no shortage of variety gives you all the more reason to shop here first. Shopping here is similar to shopping in bigger retail chains thanks to their quality brands and competitive prices. But the mom-and-pop service and no-fuss experience make this place a clear choice over any chain store. You truly get the best of both worlds, and the furniture here is every bit as good as what you’d find in larger showrooms. Their huge delivery range to South Carolina, North Carolina, and Georgia make them one of the places in the area to buy furniture. Big names like Broyhill and Ashley are common here, but at 30-50 percent off normal retail price. 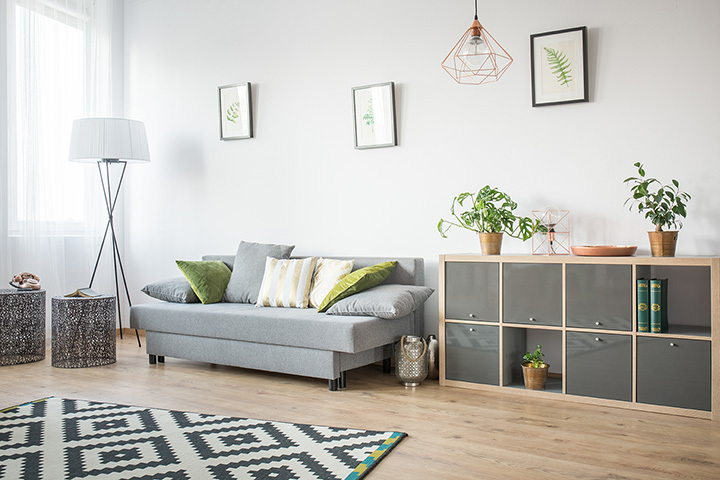 They’ve scored awesome deals on top quality furniture that’s been discontinued or overstocked and pass those savings along to you—it’s a win/win! Locally owned and operated, this hidden gem is one of the state’s best kept secrets when it comes to furniture. You can always count on the lowest price (their motto is “We will not be undersold”) and customers say they save tons compared to other stores. The team here makes it easy to do business so you can get the furniture you want at a great price without the hassle of most places. With furniture that rivals what you’d see on television home shows, the pieces here are truly remarkable. From fashionable furniture to chic decor, their showrooms are packed with unique pieces for every room in the house. You’ll feel inspired within minutes and may just feel like a professional designer yourself when you leave with your purchases. Truth be told, it’s hard to make a bad choice here. Sleek designs and an upscale vibe will motivate you to redo your whole house. They carry brands like Broyhill, Serta, and La-Z Boy, among others, so you can trust your purchases will last for years to come. They have one of the largest showrooms in the Pee Dee, making this a great place to start your search.